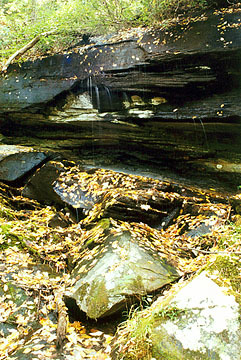 Drip Rock is one of those pleasant, small roadside cascades that are largely ignored in warm weather. 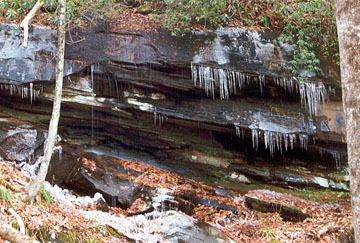 However, when winter comes, Drip Rock freezes to form one of those cool iceflows. 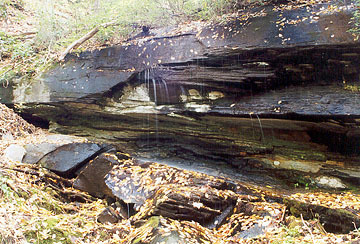 The stream, in fact, is the headwaters of Oil Camp Creek which later flows into the Middle Saluda River below Jones Gap. Directions: From Caesars Head State Park on US 276 in northern Greenville County, drive south for two miles to a small pullout on the right.